PSU Library Special Collections and University Archives is honored to present its Winter 2016 exhibit, Ever Forward: Forty Years of Women, Gender and Sexuality Studies at Portland State University. 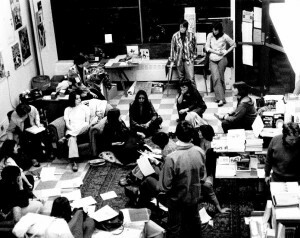 The history of WGSS at PSU is a story of the energy and passion of generations of students and faculty dedicated to the foundation, survival, and growth of feminist and queer scholarship at Portland State. The exhibit celebrates that history through selections from University Archives’ Women, Gender and Sexuality Studies Collection. 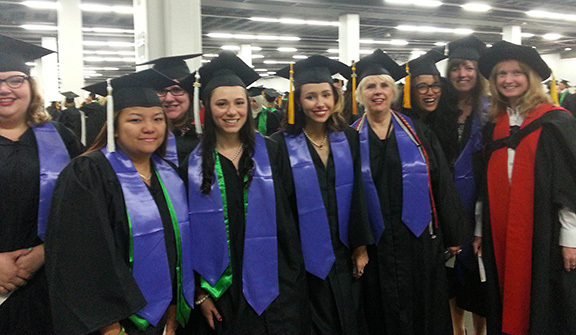 Women’s Studies at Portland State originated with the work of students, faculty, and community volunteers. 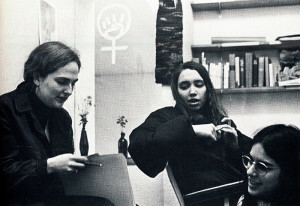 The first feminist-oriented group at PSU, “University Women,” organized in late 1969 to work toward women-centered goals such as free childcare on campus, and by the following year, University Women had formed the Women’s Union (today’s Women’s Resource Center) and were addressing wider issues concerning the status of women. As the Women’s Union evolved to become a community-wide advocacy and resource center, women working with the center and students and faculty that had formed an ad hoc committee known as the Women’s Studies Institute collaborated to create the Women’s Studies Union (WSU) to examine, envision, and enact equitable and inclusive instruction and hiring and to bring feminist academics to Portland State. The WSU founded the office that became the Women’s Studies Department. During the 1971-72 academic year, over four hundred students enrolled in courses offered through the WSU, which were taught by faculty across academic departments. In April 1973, the Women’s Union hosted a public Hearing on Sexism to call attention to inequity and discrimination in hiring and in the curriculum, and to build a case for an academic program in Women’s Studies. As examples of testimony demonstrate, women from all areas of the campus community put their personal experiences on the record, while academics and students worked together on a program proposal that showed how a university education and administration which perpetuated gender inequality failed to meet the needs of both the institution and society. Women’s Studies at PSU was approved by the Oregon State Board of Higher Education as a certificate program in 1976. The program and its allies stood up to the slow process of accreditation and to profound funding challenges during its first two decades. In the early 1980s, when the certificate program was threatened by proposed budget cuts, Women’s Studies students mobilized demonstrations and a letter-writing campaign that enlisted support from legislators and community organizations around the state. Their efforts provoked budget revisions that protected the program, but significantly reduced its allotment. To counter these losses, throughout the 1980s students, faculty and community partners held bake sales and fundraising drives to sustain the department until it was slowly refunded by the University as the program continued to expand into the 1990s. 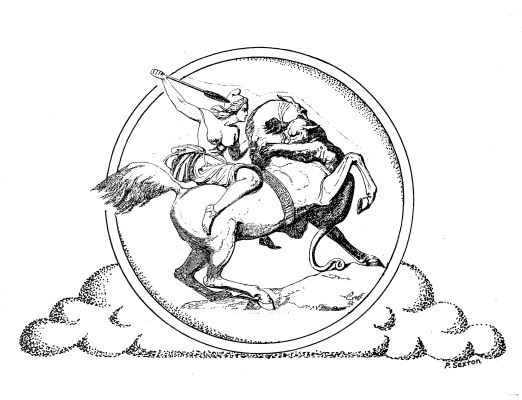 Women’s Studies was finally approved as an undergraduate minor in 1987 and a major in 1998, nearly thirty years after the formation of the PSU Women’s Union. As the program has grown, its students have worked with faculty to ensure that course offerings and curriculum reflect their priorities and are adaptable to evolving academic and political discourses of power and identity. In 2008, after several years of research, curriculum development, proposal drafting, and fundraising conducted by volunteer students and faculty, PSU Women’s Studies offered a minor in Sexuality, Gender and Queer Studies, the first program of its kind in Oregon. In the spirit of the history of the program, Women’s Studies hosted a series of public conversations with students, faculty, staff, and community members to consider a change in nomenclature which would better reflect the purview and philosophy of the program. In 2010, Women’s Studies at PSU became Women, Gender and Sexuality Studies, and was also approved to become an academic department. 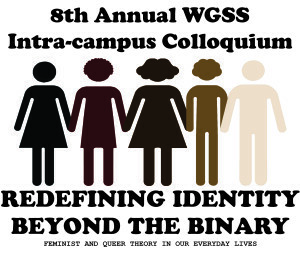 Current and upcoming developments in WGSS demonstrate the vibrancy and future of feminist and queer activism and scholarship at PSU. Ever Forward was curated by Rhiannon Cates, PSU Library Special Collections staff and WGSS alumna. The exhibit will be on display through Winter 2016 in the first floor elevator lobby of the PSU Library.